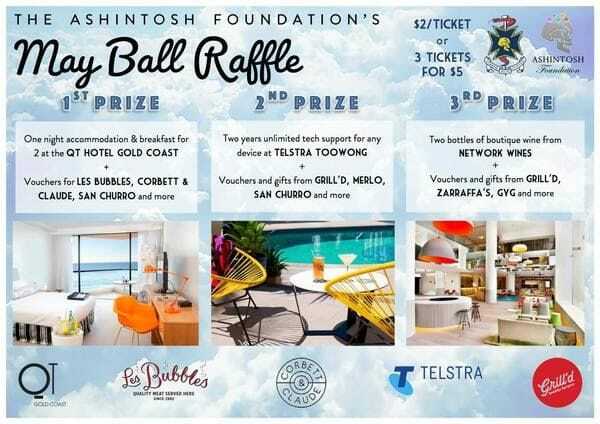 Congratulations to the winners of the Ashintosh Foundation May Ball Raffle! - 1st place goes to Heidi Lui, winning a night on the Gold Coast at QT hotel, a Snap Fitness Spring Hill 3 month membership (with 3x personal training sessions), and a $100 voucher for Corbett and Claude! - And finally, 5th place to McKenna Kormanik winning a $50 voucher for IGA St. Lucia, and a $25 Voucher for Pitch and Fork. Thank you to everyone for supporting the Ashintosh foundation, we can continue to support children's health in Queensland thanks to your kind donations. A big Thank you goes out to our awesome sponsors, for donating these wonderful prizes. Congrats to the Toowoomba Rural Clinical School on establishing regular Teddy Bear Hospital visits in the local Toowoomba community. Phase 2 UQ Medical Students have successfully visited local primary schools to discuss healthy habits, including the importance of visiting the doctor, healthy eating, and exercise. At the end of 2017, two medical students were awarded Ashintosh Research Scholarships and were able to undertake valuable research at the Queensland Brain Institute. This was the second year of this partnership and we are pleased to report that both the students and QBI had very positive feedback about the program. Many thanks to QBI for this opportunity! Keep an eye out later this year for more info about this opportunity. And that's a wrap for the 2017 Teddy Bear season! This year we have recruited many enthusiastic new teddy bear doctors and even started branching out to new schools at the Gold Coast! We would like to take a moment to thank our incredibly dedicated organisers Vivek and Danielle for all their hard work throughout the year and for making this initiative such a hit with med students and school students alike. We cannot wait for what's in store for next year!! 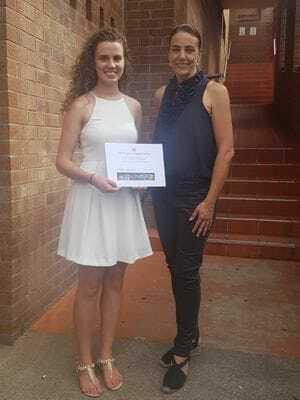 National award for QMJ Jazz Gala! 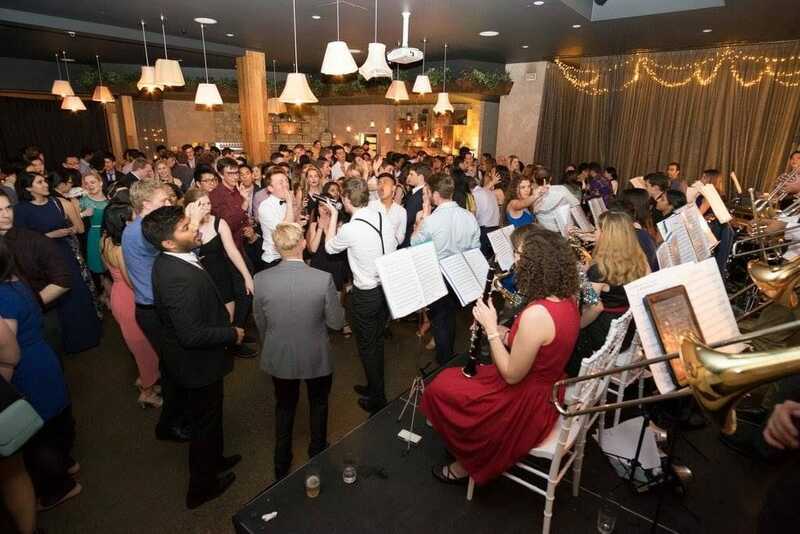 The QMJ Jazz Gala has been voted as the Best Social Event of the Year by the Australian Medical Students' Association!! This event is the culmination of a year's worth of rehearsals involving current med students as well as doctors, and promises to live up to this amazing recognition! Our second Coffeehouse was another huge success!! Students by day and musicians by night, talents across all instruments and genres were put on display at the Black Bear Lodge fuelled by an endless supply of coffee. There are only a few more Ashintosh events before the end of the year, so make sure you join us for some great times! Congratulations to our medical athletes who participated in the 5km and 10km races at the 2017 Bridge to Brisbane! Pulses were tachycardic as personal records were broken, first-time racers crossed the finish line, all the while being supported by our favourite Big Ted. Check out the pictures below! 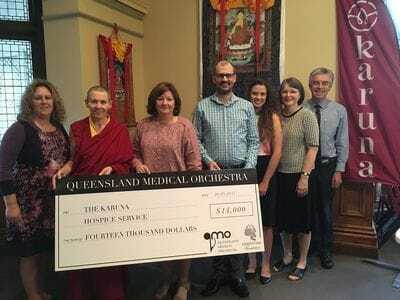 Another huge success for the Queensland Medical Orchestra, raising a staggering $14,000 from their concert 'Care to Dance' ! In front of a rapt audience, melodies soared through the CIty Hall whilst dancers from Queensland Ballet, Red Hot Rhythm and Flamenco Studio whirled, tapped and clapped their way across the stage. Not a single person was left on their seats at the end of the night! The proceeds were donated to Karuna Hospice Services, who dedicate themselves to providing in-home and community based palliative care services with compassion and kindness. We are grateful for the wonderful work that they do, supporting those in our community as they face the challenges and uncertainty of end of life. Congratulations to musicians, dancers, volunteers and all those who supported this spectacular production! The QMO is one of the cultural initiatives of the Ashintosh Foundation and put on three concerts every year, so stay tuned for more fantastic events! Medical students from all years were treated to an afternoon of coffee and music at the Black Bear Lodge. Guitars strummed smoothly, harmonies sung to perfection and an endless supply of caffeine, there really was no better to wind down. There will be more opportunities to participate at Coffeehouse throughout the year so stay tuned to our Events page! From Dr Ashintosh to Dr House, Tuvalu to fergalicious tunes, aardvarks to Aconcagua, trivia night was a sold out success!! Teams battled it out with banter and great spirits, demonstrating that all those hours watching Scrubs were not wasted! Huge thanks to the convenors and all those who attended, and a special congratulations to the winning team! Click on the pictures below to see the full album. Christmas Fantasia was a marvelous way to wrap up a successful 2016 for the Queensland Medical Orchestra. Recently, our Managing Director Emma Lumsden met with Sara Harrup, the CEO of 139 Club, who the QMO raised funds for at this concert. 139 Club is an important pillar of our Brisbane community, providing shelter for the homeless and over 40,000 meals a year to those in need. They also organise long term accommodation for their occupants. With a team of 40 volunteers, this dedicated group work tirelessly to improve and better the lives of those around them. The dedicated musicians of QMO are excited to bring you more spectacular showcases this year, beginning with 'Care to Dance?' on April 9, which will feature guest dancers from Queensland Ballet and more! Buy your tickets HERE to avoid disappointment! Stunning, stellar and a sell-out success! Jazz Night was held at Black Bear Lodge on February 16th and showed a creative side to our medicos that is not often seen. The musicians of Queensland Medical Jazz had the audience raving and on their feet the whole night, see below for the full album. Be sure to watch this space for more of their events throughout the year! Teddy Bear Hospital is over for another year! This year, our volunteer base was expanded by 345 interested students at the start of the year and it just accelerated from there. Teddy Bear Hospital had its biggest year yet in 2016 with 19 visits in the Brisbane area to over 1350 Prep students! We also had over 10 visits to communities outside of Brisbane including Toowoomba, Hervey Bay and Rockhampton. We would like to thank all of our wonderful volunteers who have helped us out over the past 2 semesters. Special thanks must go to our most dedicated volunteers who attended the most visits throughout the year: Vivek, Jeffrey, Danielle, Jessica, and Stefanie. Without you, without all of our student volunteers who took the time out of their busy schedules to help throughout the year, none of this would have been possible. The year concluded on Wednesday afternoon when the team visited Mayfield State School. Quote of the day? "I stay sun safe by eating ice-cream!". Thanks again for a fantastic year! Samantha Stowasser (TBH External) and Diana Vessalinovitch (TBH Internal). "The Medical Student Club at the Toowoomba UQ Rural Clinical School has worked with the Toowoomba Hospital Foundation for many years in support of the Darling Downs Hospital and Health Service. In 2016, we looked more broadly at the services in the community, and decided to focus on supporting the palliative care services available in Toowoomba. With the aid of the Ashintosh Foundation, the Toowoomba UQ Rural Clinical School were able to fundraise throughout the year with events for the medical students and hospital staff. 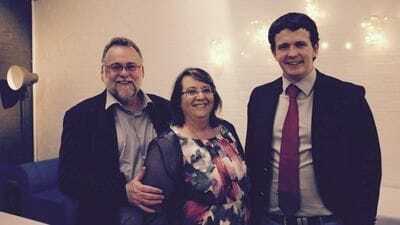 Our efforts have resulted in: a $4000 donation to the Toowoomba Hospice to sponsor a room, and a $500 donation to the Mount Lofty Nursing Home, towards their palliative care services." Bravo, what a fantastic effort! Tremendously put on by Chris Strom and Josh Davis in second semester 2016, Coffeehouse II showcased the tremendous musical talents of UQ medical students. Amply supplied with free coffee throughout the night, numerous solo and group acts performed throughout the evening. Click here for the Facebook event and here for the photos. All proceeds went towards the good work of the Ashintosh Foundation! 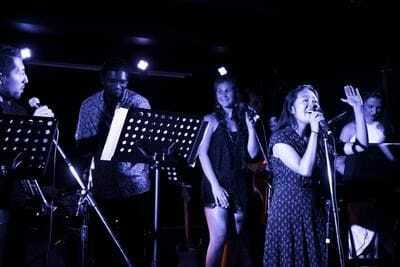 The annual Ashintosh Jazz Gala, presented by Queensland Medical Jazz, took place at the Loft on the 8th of October. A variety of talented medical students and young doctors took to the stage, showing off their jazz skills both instrumentally and vocally. All proceeds from the evening have gone towards Radio Lollipop. Ashintosh Foundation - 2016 Trivia Night!!! 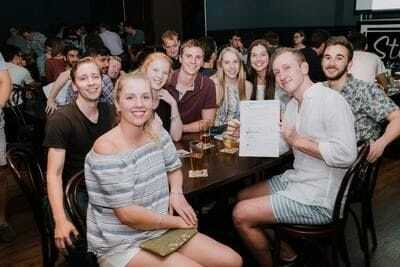 The Ashintosh Foundation hosted its annual Trivia Night at the Stock Exchange Hotel. Organised by Jimmy Rea with help from Greg Barlow, Jed Madden, Chris O'Kane, and David McEniery, we managed to herd about 140 medical students for a night of questions and banter in the name of charity. Although there were many challengers, Fact Emboli (pictured below) defended their 2015 Trivia Champion title. Much fun was had, and many are keen for a repeat in 2017. We just wanted to share a story from Muscular Dystrophy Queensland, who we supported with the recent QMO2 Virtuosis Concert. "Recently Hayden, a little boy with Duchenne muscular dystrophy, received a hi-low adjustable bed through Muscular Dystrophy Queensland's long term equipment loan program, in his letter of thanks he wrote, "I am able to sit up and move in my bed by myself and I can even get out of bed by myself now. I get straight onto my wheelchair without mum or dad using the hoist. The bed is comfy." Mum wrote, "Thank you so much! What a difference to his everyday life. It has brought a smile and given him a new drive to do things for himself that he had given up on." "Muscular Dystrophy Queensland would like to thank the Ashintosh Foundation and the Queensland Medical Orchestra in supporting families just like Hayden's." 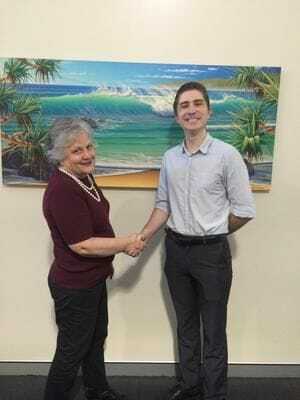 Below is a photo taken from when Mitchell Cox met with their CEO, Helene Frayne, who was thoroughly impressed with the performance. A huge thanks from the Ashintosh Foundation to the Queensland Medical Orchestra and everyone involved! We are now very happy to report the proceeds of this brilliant concert, held on April 17th 2016, and the musical skills of the medical students, doctors, and friends of the QMO! 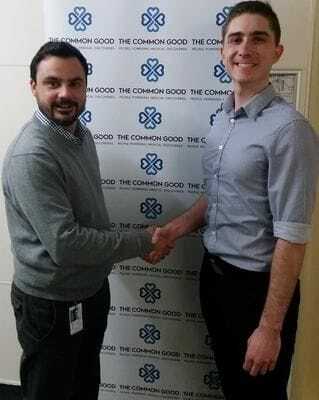 QMOI raised money for The Common Good, a project of The Prince Charles Hospital Foundation! The Common Good is currently funding projects that hope to understand the processes and events that lead to the development of dementia, a debilitating disease that currently affects 44 million people worldwide. Follow the above links to learn more about their program! 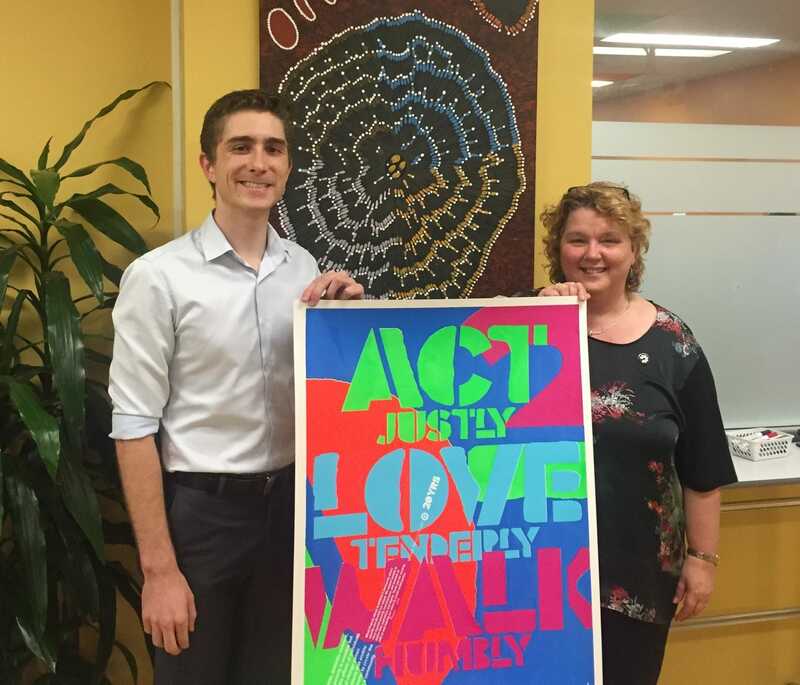 Pictured below is Mitchell Cox (2016 Ashintosh Managing Director) with Shannon Laverack (Fundraising Manager, The Prince Charles Hospital Foundation). Place: Clinical schools near you! Tickets: $2/ticket or 3 tickets for $5!!! First Prize: One night accommodation and breakfast for 2 at the QT Hotal Gold Coast + vouchers for Les Bubbles, Corbett & Claude, San Churro, and more! Second Prize: Two years unlimited tech support for any device at Telstra Toowong + vouchers and gifts from Grill'd, Merlo, San Churro, and more! Third Prize: Two bottles of boutique wine from Network Wines + vouchers and gifts from Grill'd, Zarraffa's, GYG, and more! The lucky winners were Gage Stuntz, Heidi Lui, and Alix Murphy! The first concert in QMO's 2016 season promised to be one of 'Pomp and Circumstance'. 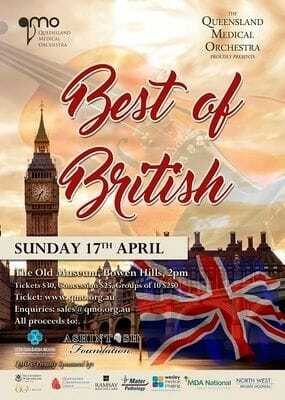 In Best of British, the program included works by great British composers such as Vaughan Williams, pieces reflective of Great Britain's prestige like Rule Britannia, and familiar English folksongs, including The Minstrel Boy. 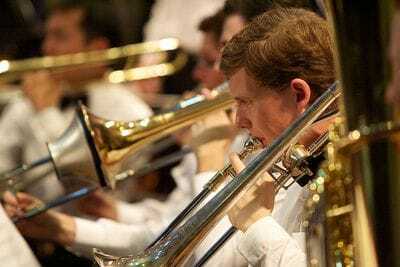 QMO's aim was to explore and perform music associated with the United Kingdom and its history. This production promised to be both majestic and nostalgic, catering for both young and old, and ranging from the classic to the modern - and did it deliver. The concert was entirely sold out, and the audience was not disappointed. All credit has to go to the organizers and performers of the QMO, and the Ashintosh Foundation cannot wait for QMOII! Coffeehouse is our premier small group performance opportunity, and is hosted by the Ashintosh Foundation with all proceeds going towards our charity work. It is the only event where you can enjoy live music performed by your medical students while enjoying food and unlimited coffee (or other drinks). In 2016 we included food in the ticket, had the bar open, and also opened the event to the public. Over 200 performers and audience members enjoyed watching our colleagues' musical talent, the coffee, and the cruisy Saturday afternoon vibes. To find out more about Ashintosh's other activities, please check out our Upcoming Events. QMO and QMC has finally launched their website! This is an exciting project that has been in the making for over 18 months. Through this website, everyone will be able to find out about QMO's concerts, purchase tickets, and read all about their members. In the website's gallery, video's of QMO's previous concerts can also be enjoyed via a Youtube album. To be kept updated as to all their latest news, you can also subscribe to their newsletters. And for those most loyal followers, join their ultimate fan-club: QMO Friends and receive lots of benefits and exclusive insights into QMO. 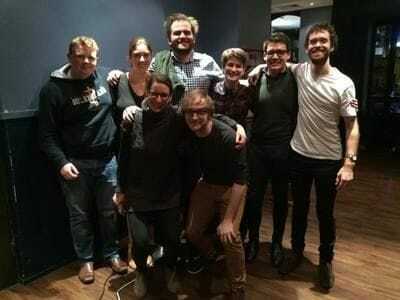 Members of QMO are also able to access a members-only forum where all rehearsal times and music can be downloaded, including the latest updates from the Director and Committee members. Everyone is welcome at QMO's fantastic new website. 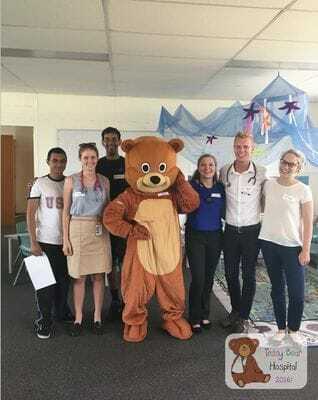 Teddy Bear Hospital did the first visit of the year at the Murri School on the 17th February. We helped out at their Health and Wellbeing Expo, which is a program that they run to deliver Indigenous Health Checks while also educating their students. It was a great day and we are hoping to work with them over time to develop an Indigenous specific program. We're definitely looking for more schools who might be interested in having us come visit. Please visit our Teddy Bear Hospital page for more information, or Contact Us for details. Photos can be found at on our Facebook page. At the end of January, Ashintosh's Managing Director for 2016, Mitchell Cox, met up with CEO of Micah Projects Inc, Karen Walsh, to deliver the proceeds raised from QMO's Christmas concert last year. This totalled over $6000, and was sincerely appreciated by all at Micah Projects. Micah Projects is a community charity that delivers basic needs to the under-privileged, and all those who requires mental, physical and medical support. They have numerous projects all throughout Brisbane and have done some amazing work; one of their current projects in the Domestic Violence clinic to be opened later in 2016. To find out about all the charities Ashintosh and QMO have supported in 2015, please visit QMO's Charity page.